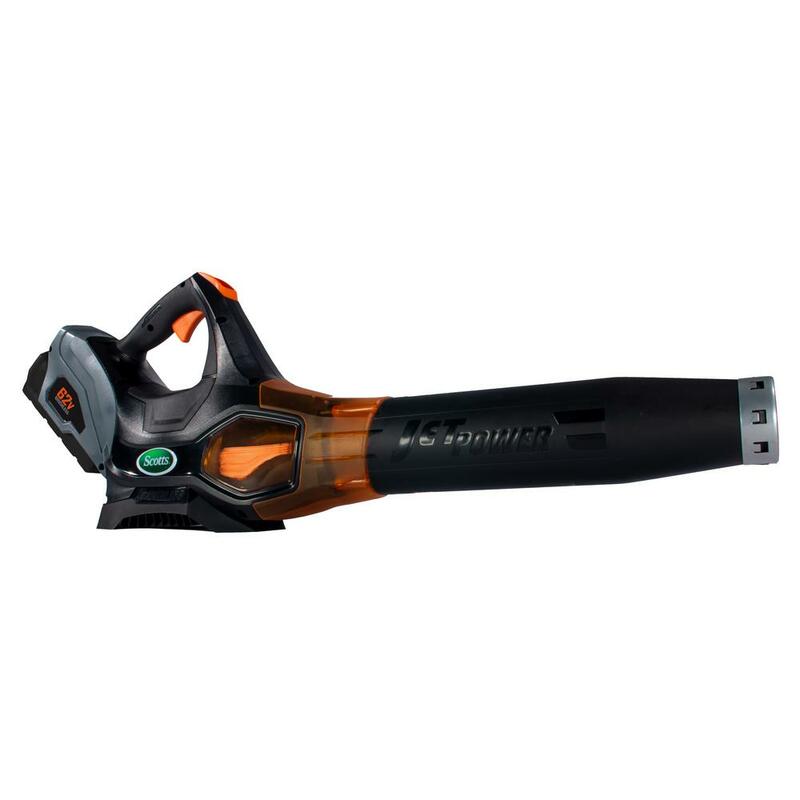 Scotts 62-Volt 2.5 Ah Lithium Ion Cordless Blower is an advanced, high-Voltage cordless blower. Featuring an enhanced brushless motor designed to deliver superior power, runtime and durability. Blower has clearing power comparable to gas-powered hand-held blowers. Equipped with a variable speed trigger, users have the power to choose between more clearing power or extended runtime. With the LED battery capacity reading, you will know exactly how much power you have at any time. Battery and charger included. Warranty details: 5-year tool warranty; 3-year battery warranty.